Lock in a great price for Rosenhotel – rated 8.1 by recent guests! The hosts (operators) were MOST friendly we have ever met! They were sooooooo helpful and eagerly offered assistance in locating sites we had visited 48 years ago!! In fact, if we could have, we would have brought them home with us to return their gracious hospitality. Would eagerly make another visit. We stayed for a night. We arrived late, the owner sent us a very nice e-mail explaining what to do to get the key. We asked for an extra bed, it was there, no money charged for it. The room was big enough for 2 adults ans 2 kids. Breakfast was very good, the lady owner was so nice and smiling. Really a nice experience. Thank you! 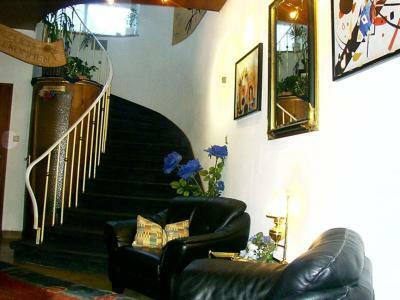 Staff extremely helpful and friendly; lovely room with super comfortable bed; Breakfast buffet had everything you could wish for. Highly recommend! 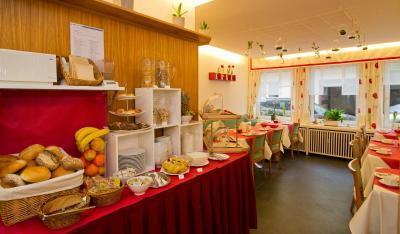 The breakfast is great for a hotel of this size and quality. fresh cooked boiled eggs and a wonderful fruit salad. The hotel is old but well looked after and with wonderful staff. There is a balcony which makes things pretty comfy and nice. The wifi was also pretty good, I managed to have a Skype video conference without issues. 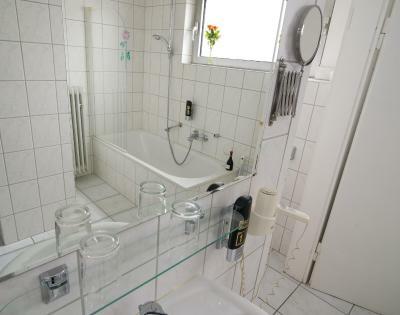 Authentisches, familiengeführtes Hotel mit super nettem, zuvorkommendem Personal. Sauber, und mit allem Notwendigen ausgestattet. 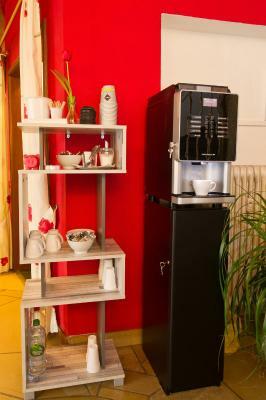 Das Frühstücksbuffet ist sehr umfangreich, und auch hier sticht der sehr gute Service ins Auge. 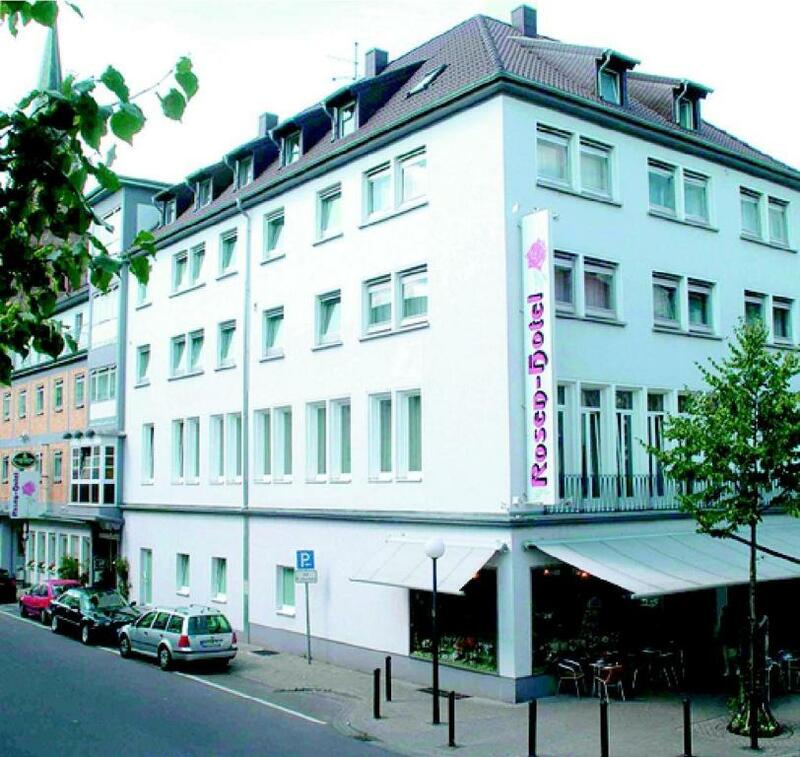 Das Hotel liegt im Zentrum der Stadt. Das Personal ist ausgesprochen freundlich, das Frühstück gut und es gibt einen kostenlosen Kaffeeautomaten an der Rezeption. 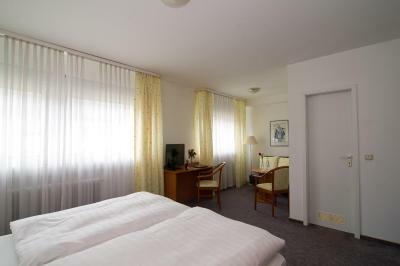 Rosenhotel This rating is a reflection of how the property compares to the industry standard when it comes to price, facilities and services available. It's based on a self-evaluation by the property. Use this rating to help choose your stay! 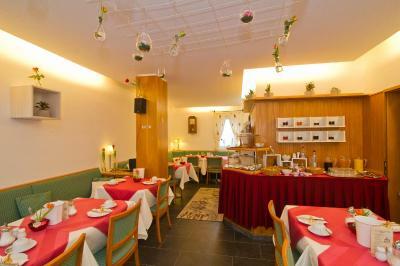 Located just 850 feet from the Zweibrücken Castle in Zweibrücken, the family-run Rosenhotel offers free WiFi. 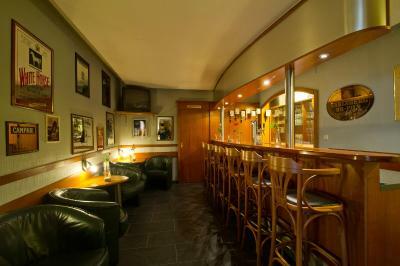 A restaurant and bar can be found on site. 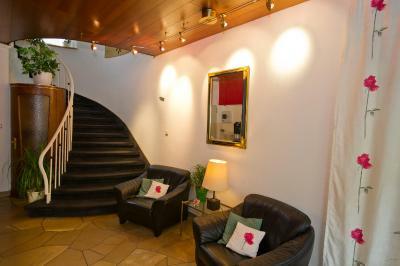 Rooms here are colorfully decorated with carpeted floors and contemporary wooden furnishings. 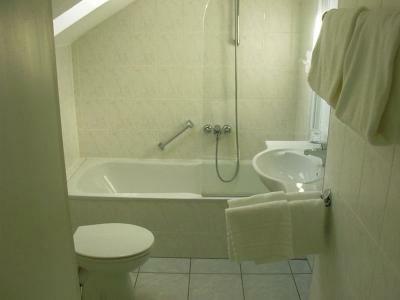 Each room features a seating area, cable TV, and a modern bathroom with hairdryer. 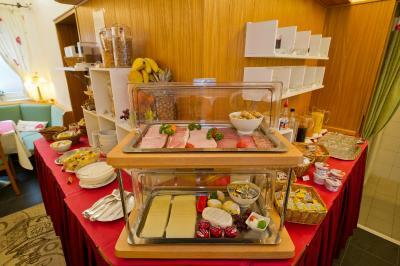 A hearty breakfast buffet is provided every morning, and the restaurant serves classic German and regional specialties in the evenings. A supermarket is located 1,500 feet from the property. In addition to the castle, Zweibrücken offers a city museum reachable in 8 minutes on foot. The World of Fun Amusement park is 1.9 mi from Rosenhotel. Zweibrücken Train Station is 0.6 mi away and the A8 motorway a 2-minute drive. Free parking is available on site. 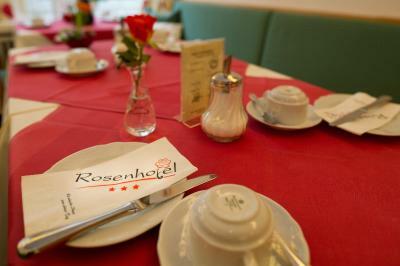 When would you like to stay at Rosenhotel? 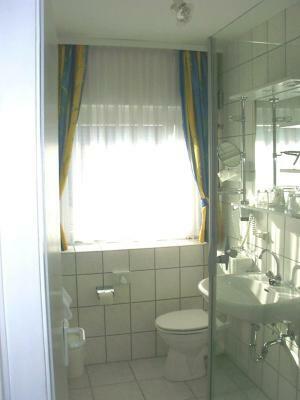 This single room features a seating area and cable TV. 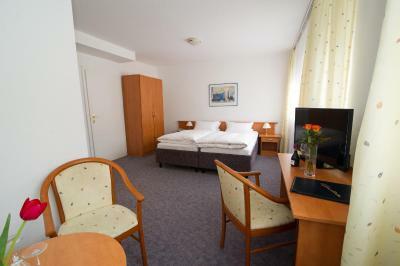 This twin/double room features a seating area and cable TV. 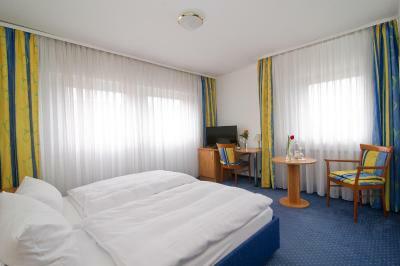 This large single room features a seating area and cable TV. House Rules Rosenhotel takes special requests – add in the next step! Rosenhotel accepts these cards and reserves the right to temporarily hold an amount prior to arrival. Believe me, we would change nothing! Excellent Breakfast! Extremely friendly people! 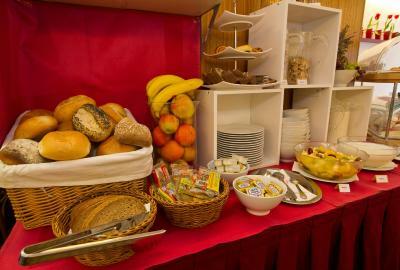 Breakfast room is very small; with 20 people the room was crowded and not so comfortable. Room was large and clean. The blanket on the bad was a bit small for a big guy like me so that was annoying. A larger blanket would solve the issue though.